Be stylish and warm in this 3-season Polartec 200 series vest, while you proudly display your support of Katahdin Woods and Waters National Monument. 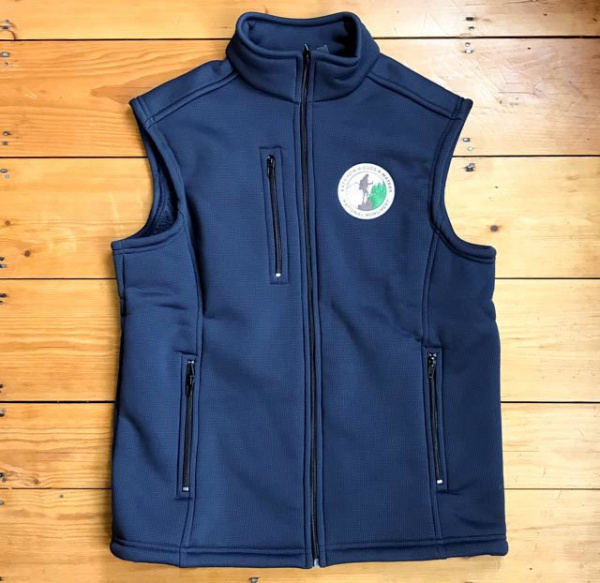 This comfortable, light-weight and functional vest features 3 secure zip pockets, a cozy faux sherpa fabric interior, and is made in Maine using 100% American-made fabric and materials. Attractive, high quality embroidered KWWNM patch. Color: Navy. Available in unisex sizes M-XL.